taking on a new position, learn how to better manage multicultural teams? Challenges to be tackled with coaching. Need to unlock a professional situation? Need to promote a coaching culture within your company to accompany a cultural change? your practices and manage change. Combining more than 25 years of international and intercultural business experience and a strong expertise on transition cycle, I am a Team & Executive Coach. I support leaders through strategic coaching, intercultural coaching, conflict resolution and new position transition. I am also a pioneer in Spain of Co-Development method through the Cecodev methodology. I started my professional life at IBM where I held positions as an engineer and sales manager. I have always been passionate about people’s development and naturally moving towards training and coaching activities. Since 2000, I have been accompanying leaders and teams in implementing change. As a certified PCC (Professional Certified Coach by ICF “International Coach Federation”) I accumulate more than 2,500 hours of executive coaching. 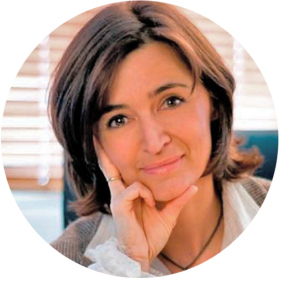 I have lived in Spain since 2000 where I have been offering coaching services to multinational people, in French, English and Spanish. My coaching style is direct, demanding and empowering. I participate in the implementation of new managerial leadership roles, and in the process of detection and management of potential talent.